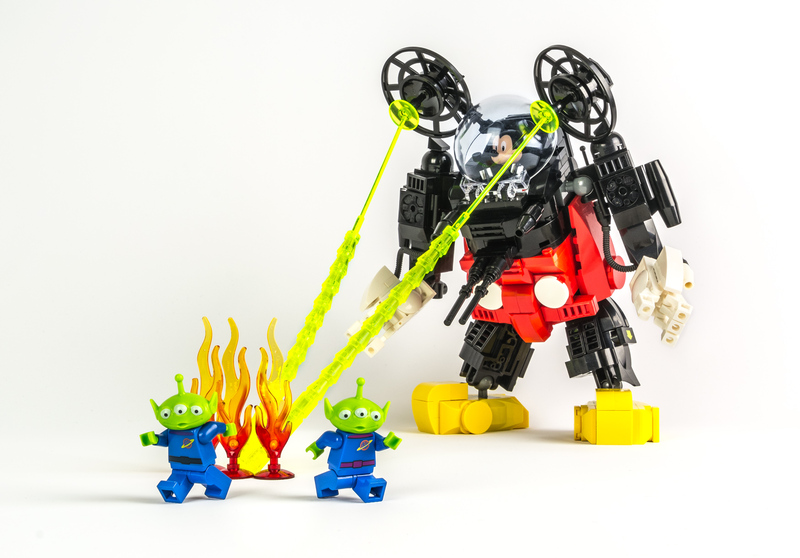 A little vignette featuring my Mecha Mouse MOC attacking some little Toy Story aliens. Originally when I came up with the concept for building Mecha Mouse, the whole idea revolved around taking this particular photo. Before even releasing the MOC by itself, I wanted to feature an action shot of the mech attacking some victims. I used a small aperture and a wide angle zoom lens to get the whole scene in focus: Mecha Mouse is several inches away from the aliens.